An endearing coming-of-age memoir by a young woman who spent thirteen years as Jackie Kennedy’s personal assistant and occasional nanny—and the lessons about life and love she learned from the glamorous first lady. 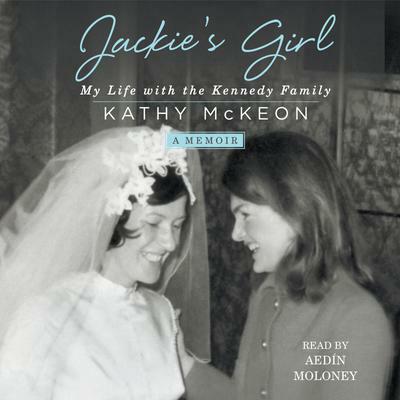 In 1964, Kathy McKeon was just twenty years old and newly arrived from Ireland when she was hired as former first lady Jackie Kennedy’s personal assistant. The next thirteen years of her life were spent in her service, during which she not only played a crucial role in raising young Caroline and John, Jr. but also had a front-row seat to some of the twentieth century’s most significant events. Always at Jackie’s side, Rose Kennedy took to calling Kathy “Jackie’s girl.” Kathy called Jackie “Madam,” but considered her employer more like a big sister who, in many ways, mentored Kathy on how to be a lady. Kathy was there during Jackie and Aristotle Onassis’s courtship and marriage and Robert Kennedy’s assassination, dutifully supporting Jackie and the children during these tumultuous times in history. A rare and engrossing look at the private life of one of the most famous women of the twentieth century, Jackie’s Girl is also a moving personal story of a young woman finding her identity and footing in a new country, along with the help of the most elegant woman in America.